As a a comic reader, it took me the longest time to start reading manga; I'd read comics in lots of other formats and from all around the world, but my unfamiliarity with Japanese comics presented a stumbling block as I struggled to find a point of entry. It all seemed so daunting: there were series that went on for over 50 volumes, I couldn't differentiate between art styles, or even between characters, and the styilised characteristics and expressions left me a bit cold. I persevered though, because I knew it was obviously me- Japanese comics boast some of the greatest masters of the medium, and make up a bulk of superb work, so I knew it was simply a matter of time before I found books that would stick. I thought it might be helpful to others to compile a short list of 5 the books/series that were instrumental in helping me overcome that barrier. 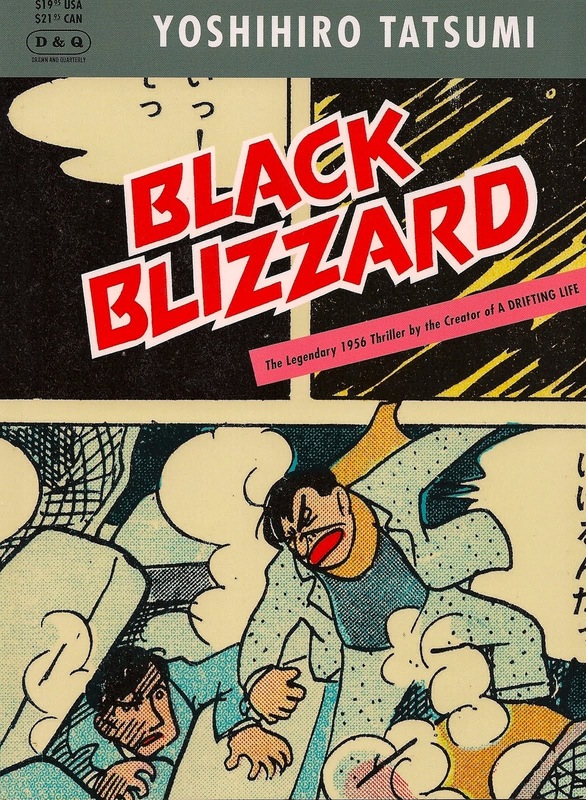 Black Blizzard by Yoshihiro Tatsumi, Drawn and Quarterly: Black Blizzard was one of the breakthrough manga books I read, which affirmed my interest in Japanese comics and made me feel like it was something that could be surmounted! A single volume (no prequels/sequels or so forth), it's a very early work by the hugely influential Yoshihiro Tatusmi (written when he was 21), who went on to become instrumental in the 'alternative manga' movement, marking a shift in tone and content to more real narratives, discussing social issues which were rather taboo, the purpose and isolation of the individual, and the treatment of the working class. Prior to all that, he created Black Blizzard, one of my favourite books, and an ode to the hard-boiled crime genre, fuelled by Tatsumi's love for Mickey Spillane. Two prisoners, one a hardened career criminal, the other a young, gifted pianist charged with murder, find themselves handcuffed to one another as they're being transported to prison on a train, in the midst of a raging, snowy blizzard. When an avalanche causes the train to crash, they take the opportunity to escape into the unforgiving weather and up into the mountains, the older man dragging the reluctant youngster with him. Bound together by the cuffs, they find refuge in a ranger's cabin, and after building a fire, as they get warm and begin to open up to one another, a more complex narrative unfolds. For a comic created in 1956, Black Blizzard remains remarkably crisp and vibrant, thanks to Tatsumi's simple, dynamic illustrations, and the timelessness of what is a surprisingly melancholy, bitter-sweet story with values of love, honour and family at its heart. If you have difficulties reading right to left, this is published in a flipped format, so it reads left to right in the traditional Western manner. 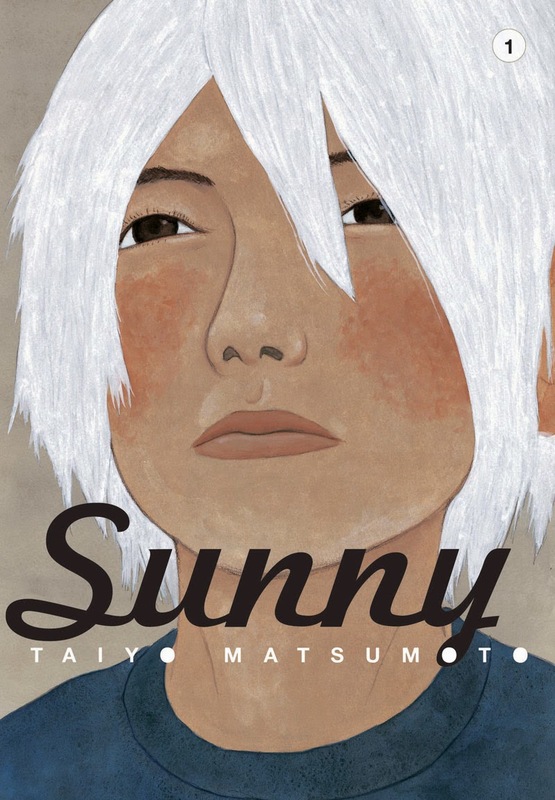 Sunny by Taiyo Matsumoto, Viz Media: If you're looking for a complete change of pace, Taiyo Matsumoto's Sunny offers something slower and more reflective. Centered around a children's home (a private run facility housing children who for some reason or another are unable to stay with their parents), its title is derived from an old, abandoned Nissan Sunny, which the kids love to sit in, and use as a place of solace, away from the adults. The car quite literally acts a vehicle for their escape, as they allow their imaginations to run free, and discuss future plans, free from the bounds of the home. 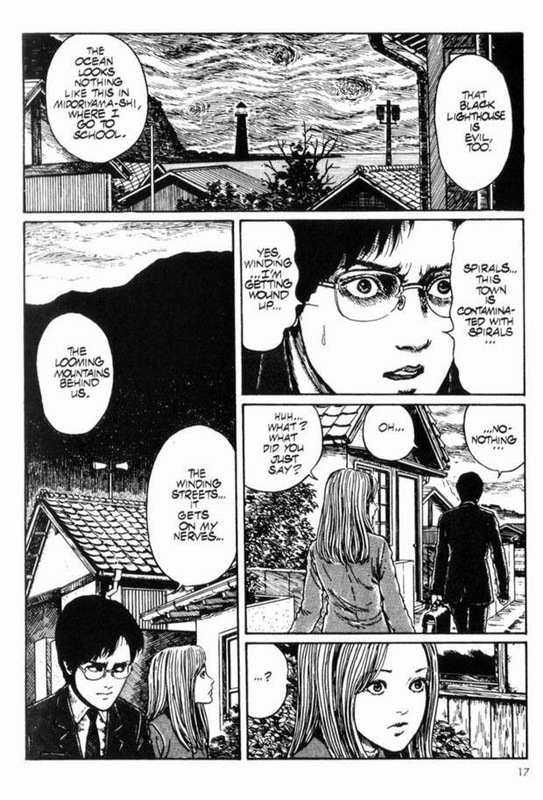 Again- in the first volume especially, there is no concrete narrative, with Matsumoto simply jumping from child to child, following them as they go to school, have a chat, eat dinner, introducing a new arrival. 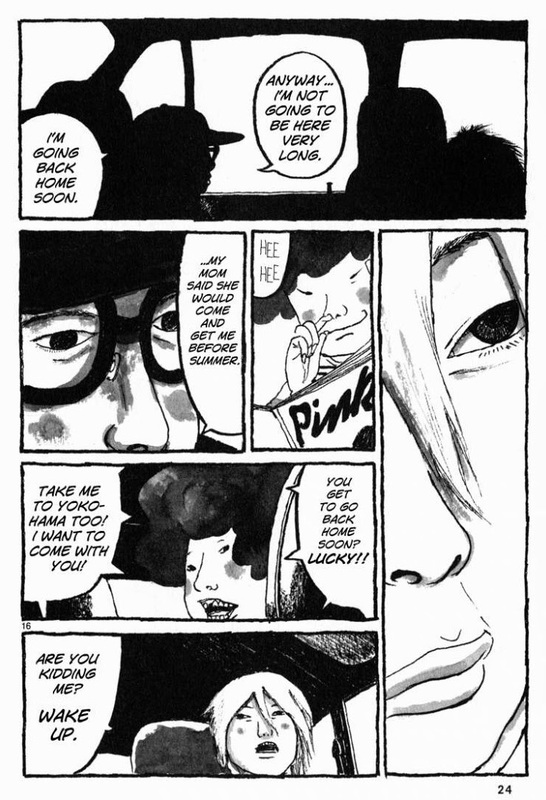 Their back-stories aren't laid bare, but The strength of it lies in the character work, and the unique art- Matusmoto's traditional, realistic tendencies married with a surreal quirk really feeds into the alienation and oddness of the kids. There's not a lot of exposition, and it's often slow, but worth sticking with- the more time you spend with these kids, the better you get to know them. The emotional range of it runs like a wavelength in the background, surging every now and again in anger or confusion, as the children deal with their abandonment and sense of betrayal. 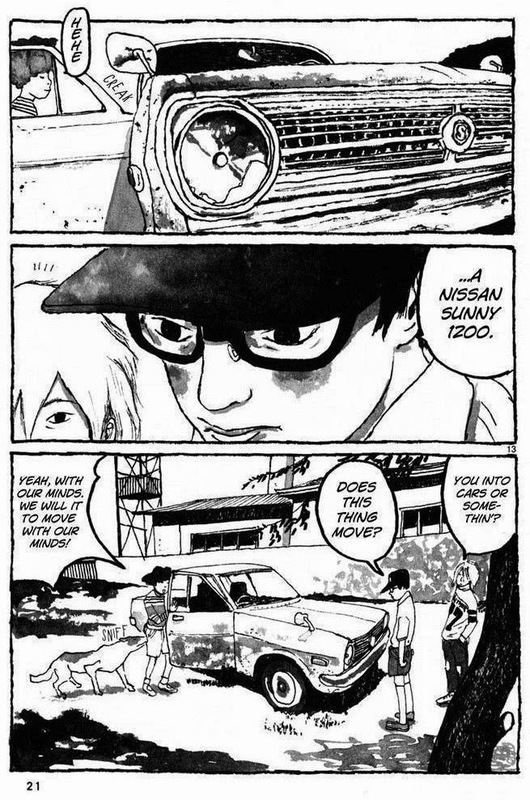 The third volume of Sunny was published in English this month, and while each book contains a series of vignettes, making it fairly ideal to be read as a stand-alone, you do see characters develop and narratives build as it progresses, so it's certainly more rewarding to read all 3, and in order. 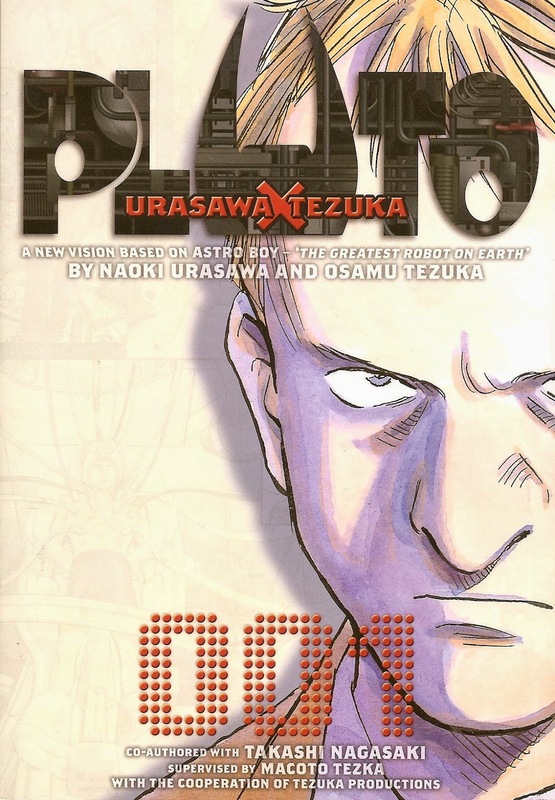 Pluto by Naoki Urasawa, Viz Media: Pluto was the manga that got me hooked I read the first book and bought all the rest because it simply that good and that addictive. The first volume alone is one of the best I've read- brilliantly executed, getting the reader to grips with the story, establishing characters, action, intrigue, emotional investment- I can't imagine anyone reading it and not wanting to continue. It's based around one of Osamu Tezuka's Astro Boy stories, but absolutely no familiarity with that is required in order for you to understand and enjoy this (I've not read the original, but Pluto is one of my favourite comics). 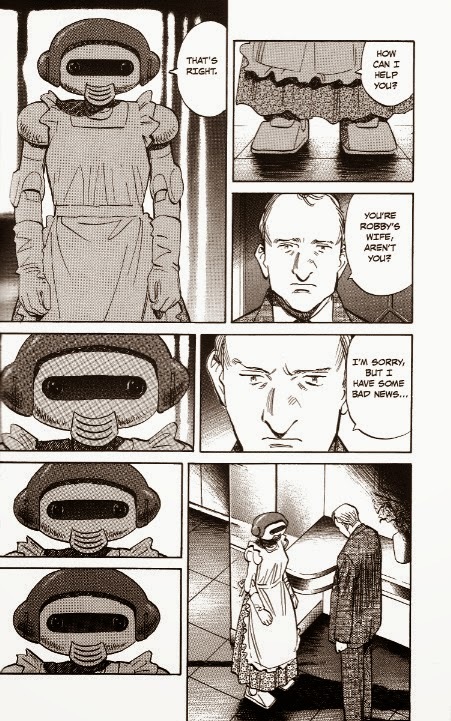 It's a sci-fi tale, set in a future where a huge war has just ended, and sentient, humanoid robots exist- uneasily, with factions of humans-, but are largely still second-class citizens, used for labour and various other jobs. Robots are bound by a derivation of Asimov's 3 laws, meaning they are unable to harm humans, and yet a series of murders begin to take place, with all the evidence pointing to the perpetrator being non-human. At the same someone is also systematically killing the seven great robots of the world, and so Europol's top detective, Gesicht is assigned the investigation- knowing, that as a member of that select group, he too, is a target. I'm sure I've made that sound more complicated than it actually is, but Pluto is a superb comic, 7 volumes long that never dips in quality. 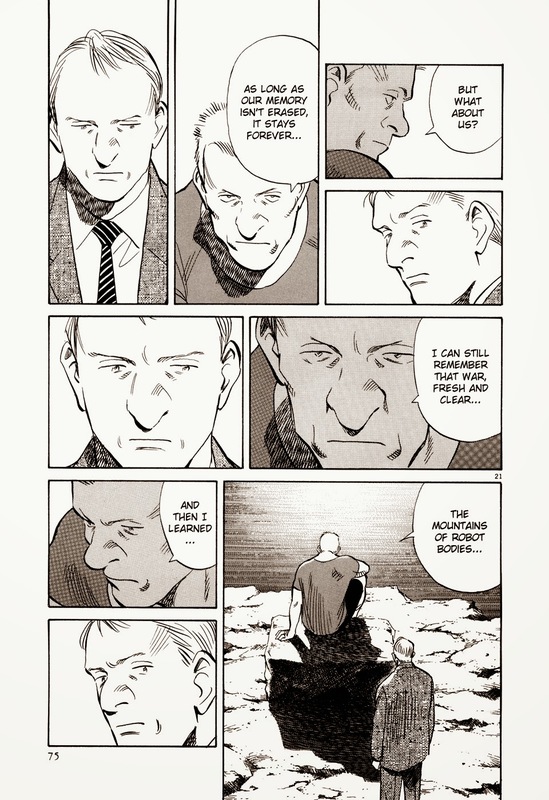 Urasawa's talent lies in layered, accessible storytelling with great characters, and here he writes about war, treatment of marginalised groups, fear, grief in a completely engrossing way. You may hear Pluto referred to as a great genre comic, and I'm never quite sure what people mean when they refer to something in that manner; it has a negative connotation- but forget that. Pluto is one of the best comics I've read, and if I could urge anybody making their foist foray into manga to put aside their misgivings and read one book, it would be this one. 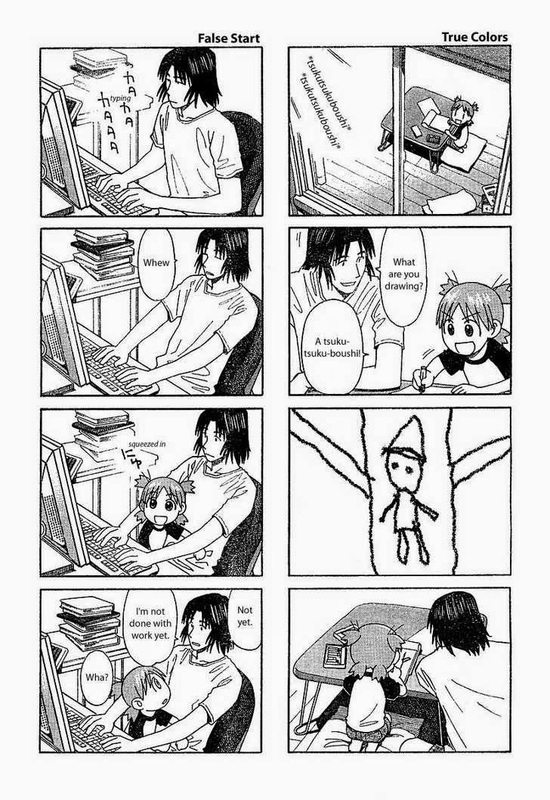 Yotsuba! by Kiyohiko Azuma, Yen Press: Yotsuba is an ongoing , all-ages series, with volumes still being produced and translated, and one of the good things about in terms of accessibility, is that you can essentially pick up any book, regardless of the order, read a random volume, and it'll still make sense (although you'll want to read more). 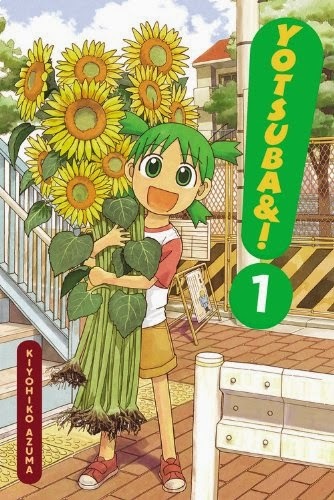 There's no overarching narrative thread, as such; the story simply follows little Yotsuba, a smart, curious, unaffected kid as she goes about her day-to-day life. It's such an uplifting comic, that never fails to make me feel happy. 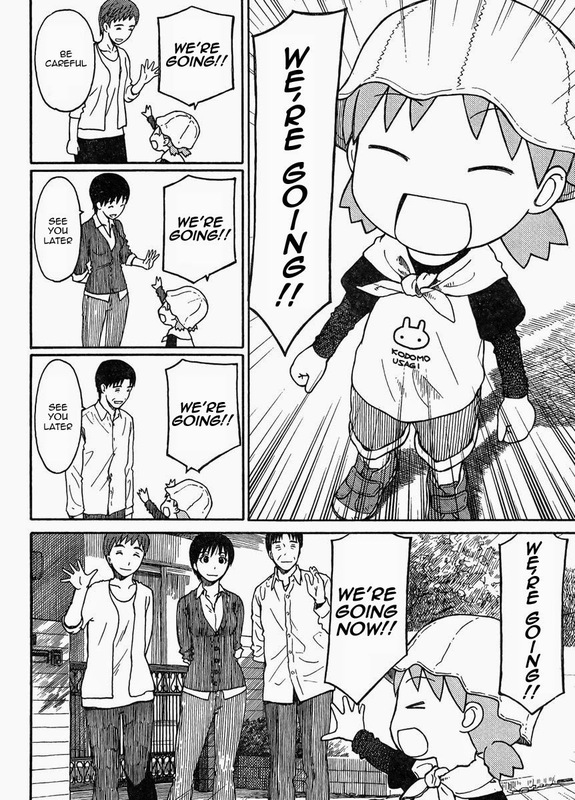 If you're looking for something that illustrates diversity in familial units, Yotsuba's an adopted child, living with her single dad, with Jumbo (so called due to his towering 6 foot plus frame), her dad's florist best friend, acting as one of her role models. The first volume finds Yotsuba and her dad moving a new home, with Yotsuba quickly inserting herself into the life of her next-door neighbours- a family of 3 daughters living with their parents, who become fixed characters for the rest of the series. Where Azuma is to be commended, is that while Yotsuba is cutsey and sweet, it's never overly so, it's never saccharine and the portrayal of the characters feels very real, especially the portrayal of Yotsuba, who epitomises childlike enthusiasm and innocence and unpredictability. Funny and warm and off-beat, it's honestly a very special series- I always try to buy a couple of volumes to have on stand-by when I need cheering up, and they're just so easy to read- perfect for kids. 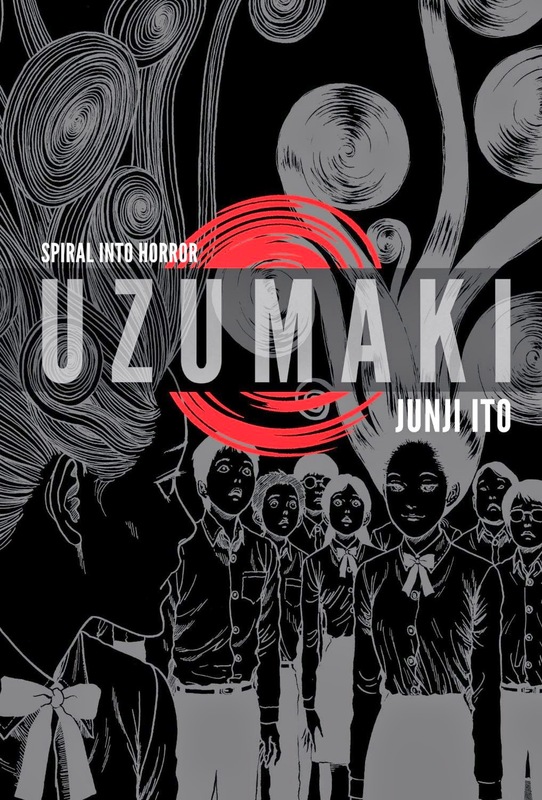 Uzumaki by Junji Ito, Viz Media: Uzumaki is another short manga series, 3 volumes in length, although a complete hardback omnibus edition is also available. It's a horror, one considered a classic, and an immensely strange one at that. It comes from the mind of Junji Ito, renowned horror master- turning the seemingly ridiculous -sharks with legs (but that's' another story)- into genuinely creepy, original tales that linger. Uzumaki has what probably sounds like an weird concept- a town slowly becoming obsessed with, and overtaken by spirals- spirals, the old secret shape of the world, manifest everywhere, insidious, affecting everyone, turning people insane and murderous. The story begins with a focus on high-schooler Kirie Goshima, as she begins to notice people close to her acting strangely- her father, her boyfriend, all fallen under the spell of the crystal. Soon enough, the whole of town is stricken, with the spiral curling all outward-bound roads and paths back in, as they're cut off from help and intervention with things getting worse. 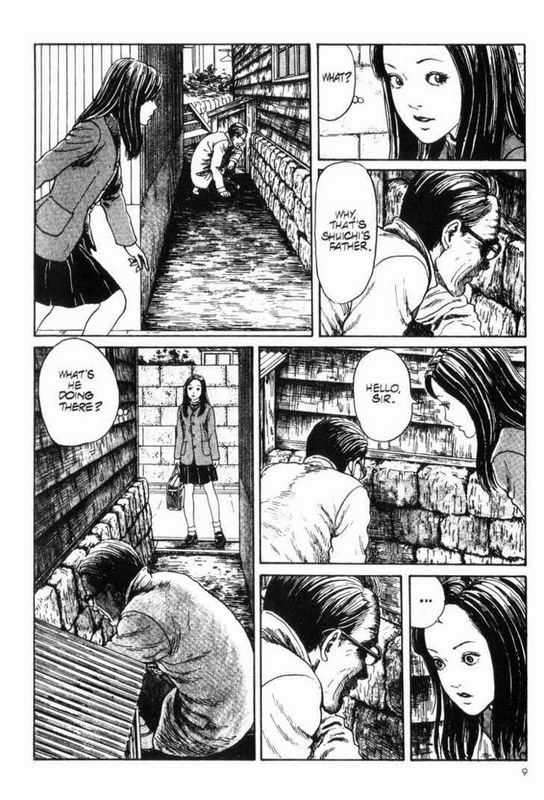 Ito builds the tension horribly- and that's where Uzumaki's real strength lies- it's horrific in parts, but mostly it's the whirlpool of despair, the thick atmosphere of dread, and the relentless-ness that hits you. That, and the obscure, almost abstract nature of something as benign as a spiral as this inexplicable, malevolent force. It's probably the most culturally different book here in terms of cues etc., and Ito's warped ideas, but it works best if you just go with it. The art is striking- lots of body horror, visceral imagery- and does a lot of the work in bringing Ito's concept to such startling life.